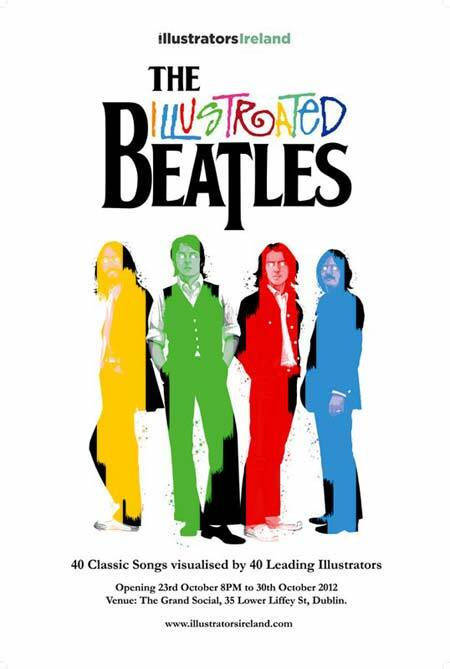 Illustrators Ireland and The Grand Social present an exhibition of artwork inspired by The Beatles. October 23rd 2012. 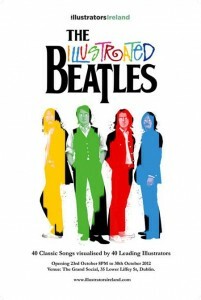 Creatives, art directors & broadcasters chose their favourite Beatles song. Songs were then allocated to Illustrators Ireland members … who used it as a starting point to influence or inspire a piece of artwork. The collection of illustrations will be shown at an art event which will be held 23rd October 2012 in The Grand Social Club, 35 Lower Liffey Street. 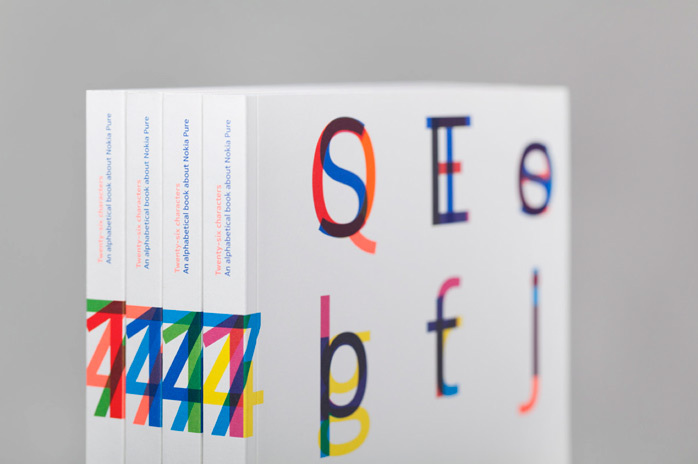 Dalton Maag’s type family Nokia Pure recently won the Graphics category of one of the most prestigious awards in design, the Design Museum ‘Designs of the Year 2012’. These awards showcase the most innovative and progressive designs from around the world, spanning seven categories: Architecture, Digital, Fashion, Furniture, Graphics, Product and Transport. It is very rare to see a font acknowledged at such a prestigious award. Dalton Maag was asked by Nokia to design a typeface primarily for use in digital media (mobile devices and the web), which would also be versatile enough to be the cornerstone for all of Nokia’s communications worldwide. In their own words, the new font family had to reflect the traditions of Finnish design: simplicity, clarity, functionality and beauty of form – in short, Pure. The clean lines of the letter forms make this a font that is easy to read with no unnecessary frills to distract from its message. As Dalton Maag have added script systems to the font, they have carried through the essential character of the font and kept the ethos that this is a font about legibility and purity of design. Nokia Pure is a very special typeface because of its impressive reach. It currently supports 15 different script systems, covering the languages of about 4 billion people around the world. Work continues on the project, with Tamil and Khmer being the latest scripts systems to be completed. 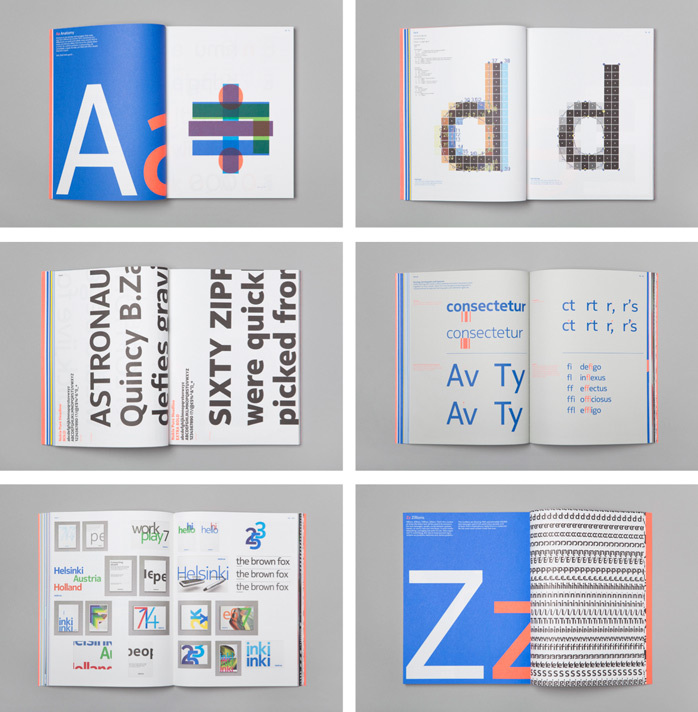 Published by Gestalten, Twenty-six characters, An alphabetical book about Nokia Pure is an exploration of Nokia’s new typeface, designed by typography icon Bruno Maag, offering inspiration and insight for establishing an indispensable visual language. THNK, the Amsterdam School of Creative Leadership has announced that Renny Ramakers, THNK board member-at-large and co-founder and director of design company Droog, has recently stepped in to chair the Foundation Board of THNK, taking over this position from Bas Verhart, the previous chair. Ole Bouman, director of the National Architecture Institute has joined THNK as a member of the board. Board members Bas Verhart and Menno van Dijk, both co-founders of THNK, will dedicate more time to the day-to-day business at THNK. Renny Ramakers is one of the most successful and respected creative entrepreneurs, not only in the Netherlands but on a global scale. Recently she was named one of the 150 Women Who Shake the World by Newsweek Magazine. Ramakers initiates projects, curates design exhibitions, and lectures worldwide. She is a judging panelist on various design boards and has advised on governmental advisory boards, amongst others she was a member of the Dutch Council of Culture (1995-2001). A critic, she has contributed to international magazines, books and catalogues, and has authored several books. Ole Bouman is the director of the Netherlands Architecture Institute, globally the largest institute of its kind. Prior to this appointment he was the editor-in- chief of Volume. Volume is a project by Archis Foundation, think tank AMO and the Graduate School of Architecture, Planning and Preservation of Columbia University. He also was the director of Archis Foundation, active in publishing, consultancy and, as NGO, establishing connections between local design communities in need of expertise and the Archis global knowledge network. He has lectured at various schools worldwide. His most recent position was lecturer at MIT, Cambridge, Massachusetts. THNK was founded as an international educational foundation, launched in March 2012. Its creative leadership program is designed to accelerate the development of creative leaders, turn global challenges and crises into opportunities, and create a more meaningful and sustainable way of life. THNK provides an 18-month, part-time, post-graduate program for a carefully selected group of international top talent. THNK is funded by the City of Amsterdam, Ministry of Economic Affairs, Agriculture and Innovation, Amsterdam Chamber of Commerce, City Region Amsterdam and the Province of North-Holland. The Design Business Ireland awards are unique in Ireland. The brief for the jury is to identify and reward the entry that was the most effective piece of design and delivered tangible, measurable economic benefits to the client – that’s why we called them the Irish Design Effectiveness Awards (IDEA)! Eddie Shanahan, well known for his leadership role in the retail sector particularly with Arnotts, runs his own management consultancy covering branding, retailing, fashion & homewares. 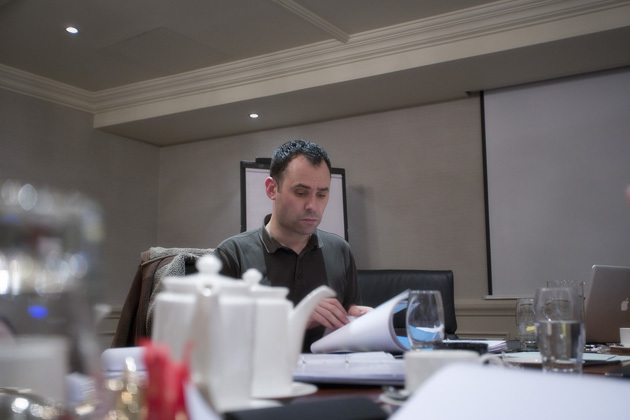 He lists leading Irish and international designers, retailers, media and blue chip companies among his clients and serves as Chairperson at the Council of Irish Fashion Designers [CIFD]. 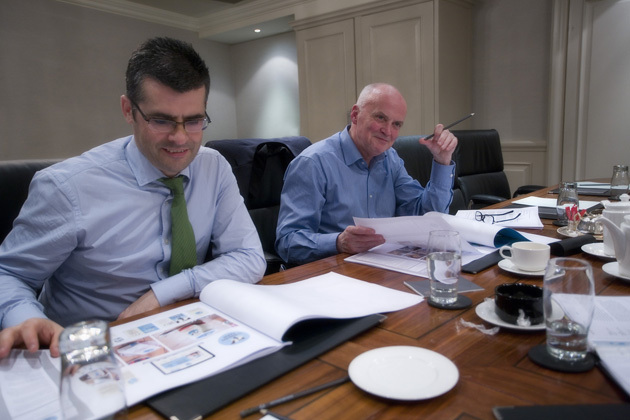 The board and members of Design Business Ireland are very grateful for the services the judges provided. A little more than one week from now the activists behind two city bids will be distraught while those of the winning city on the shortlist – Cape Town, Dublin or Bilbao will be dancing in the streets. Who is it to be … Capetonians, Dubliners or Bilbaínos? Dublin’s representatives are led by Dublin Lord Mayor Andrew Montegue, accompanied by Ali Grehan DCA (bid director), Owen O’Doherty DDCA (bid co-ordination) Bob Gray (bid identity) and Barry Sheehan (DIT / IDI). Bid Theme – LIVE DESIGN. TRANSFORM LIFE. Design Business Ireland is the national professional organisation that promotes and strengthens the design sector in Ireland by bringing together Business, Education, Government and Design. DBI helps create conditions where professional excellence can flourish and where mutually beneficial partnerships are nurtured between the design community, its clients and stakeholders. As part of its commitment to playing a pivotal role in the development of the Design Industry in Ireland Design Business Ireland has launched a Members Endorsement Identity. DBI recommends that members use this visual device on stationery, websites, email and other collateral including Tender Response Documents. It is a marque that will add credibility and over time, as we increasingly communicate the benefits that clients can achieve by appointing DBI members, its use will deliver tangible benefits to members of DBI. Its widespread use will communicate our collective belief that good design is effective – it delivers a positive return on investment. Against a backdrop where significant design projects are being commissioned from overseas design practices by both the state and private sector it is also becoming essential to communicate that Design Business Ireland members are as proficient, dependable and creative as their overseas counterparts and are committed to improving their professional standing. Members who are active on overseas markets will find that membership of recognised professional organisations is often expected and always respected. •	To clearly identify design companies who, through membership of their industry’s professional organisation, are focussed, involved, active and who aspire towards the highest professional standards. The Members Endorsement Identity is in two forms: Chartered Member and Associate Member, to reflect the two membership categories in the organisation. Chartered membership is available to design practices who have been members of DBI for more than a year and Associate membership is available for design companies wishing to join DBI. This year’s show will be formally opened at 7.00pm on Wednesday the 1st of June. The Media Communications End of Year show will open on the 10th of June @ 6.30pm – running until Wednesday 15th of June, 10am – 4pm. End of year Design exhibition will take place at The Complex, Smithfield Plaza, Dublin 7 Tuesday June 7th at 6pm running through to Saturday 11th June. The Dundalk IT Creative Media Degree show will take place from the 1st to the 3rd of July in the Carrolls building of Dundalk Institute of Technology. Student Showcase 2011 at IADT, Kill Avenue, Dun Laoghaire, South Co. Dublin from 28 May until 4 June: Saturday 29 May 11.00 – 4.00; Sunday 30 May and Monday 31 May 10.00 – 4.00; Tuesday 1 June and Wednesday 2 June 10.00 – 8.30; Thursday 3 June and Friday 4 June 10.00 – 4.00. Student Gallery and 4th year design exhibition will be open to the public from July 4 to Aug 26 in GMIT Letterfrack, Letterfrack, Co. Galway from 9.30 to 5pm (closed from 1-2pm). The Design graduate exhibition opens on Wednesday 8th of June evening with a private view and is open to the public on Thursday 9th, Friday 10th, Monday 13th, Tuesday 14th and Wednesday 15th 10am to 5pm. The exhibition is located on the 3rd floor of Letterkenny Institute of Technology, Port Road, Letterkenny, Co Donegal. Official opening is Saturday 11th June 3 p.m. (no invite required to attend). The show will stay open to the public Monday 13th June to Friday 17th June, 9 a.m. to 4 p.m.
3 courses within the Design department will show – Fashion, Visual Communications (Graphics), and Ceramics. The graduate show is open to the public from 11th to the 19th of June, opening hours are Sat 10-5, Sun 2-5 and Mon-Fri 10-8. The DesignED showcase is open to the public from 26th May – 3rd June, 9am-6pm. The opening night is on Wednesday 25th May at 7pm. This year 16 Product Design + Technology graduates display their projects which range from a re-imagined hurling helmet to an ergonomic bedpan and from a musicians playing aid to an innovative Corevalve Delivery System. Also the official opening of the new Product Design studios on the night of the exhibition launch. The shows start Friday 3rd June. End of year show was during Waterford Festival of Architecture which occurred on weekend 5th – 8th of May. Design Week – everything is a highlight! After an exceptional opening on Monday, Design Week (sponsored by Crown Paints) continues to entertain, inform and illuminate. Opening duties fell to Wayne Hemingway – co-founder of Red or Dead. Humorous, creative, modest, imaginative are some of the words that spring to mind – Inspirational is another. It was the perfect opening. Tuesday night saw a rip-roaring, hell-for-leather series of 12 presentations – in the form of Pecha Kucha … on speed. (PechaKucha is a format where the presenter shows and talks about 20 images, each for 20 seconds giving a running time of 7 minutes per presentation). The organisers of Defuse (Interaction Designers Association Dublin – IxDA) set a very fast pace – 20 x slides / 15 x seconds / 12 “explosive” talks = five minutes ‘per head’. Topics included the psychology of decision making, stories about German army tactics, insect behaviour and more. The evening also included a ‘Back of a Beer mat’ (literally) design competition with great prizes including a hugely desirable, as yet unavailable, Xbox Kinect. All this took place in The Sugar Club. Well done to organiser (and excellent presenter) Séamus Byrne, Creative Director, Graphic Mint. Tonight is the turn of The Institute of Creative Advertising & Design (ICAD) Awards and Upstarts Exhibition opening (the exhibition runs from 5th to 12th November at One Grand Parade, Dublin. This is an exhibition of 176 examples of Irish advertising and design work representing the high level of creative excellence in this country. It is also known as the ‘Best of’ exhibition – because that’s exactly what it is. Many of the pieces in exhibition were nominated for – and went on to win – a highly sought-after, prestigious, career enhancing ICAD award. This year, the exhibition will also incorporate the work of ICAD’s recent Upstarts. Tomorrow it is the turn of IDI – The Institute of Designers in Ireland and their William H Walsh Lecture on Brand Abuse by Tom Blackett in Chartered Accountants House, 47-49 Pearse Street, Dublin 2 at 7.30am. After 25 years in brand consultancy as Deputy Chairman of Interbrand, the global branding agency, Tom Blackett is now chairman of Siegel+Gale London, part of the Omnicom Group. Tom’s views are provocative – “Brand” is among the most abused words in our language. As a concept brand has become degraded and undermined – to the detriment of true brands and of those who own them. Lots of people are to blame for this – lazy journalists, ignorant marketing people, politicians… People are not brands. Sure, they can evince distinctive qualities—style, behaviour, mannerisms—that followers seek to emulate, but this doesn’t make them brands. “It makes my blood boil when the word is used, mistakenly, for celebrity” says Tom Blackett. Full information on events around the country (many of which are running beyond the official ‘ending’ of Design Week) is available on http://www.designweek.ie/ … there’s plenty more to see. Pearse McCaughey is no stranger to the ICAD Board having previously served in the mid 1990s. He occupies the role of Group Creative Director at Cawley Nea | TBWA. Iain Slater is the sole remaining member from last year’s board. There was some disquiet expressed by the members at the AGM at the small number of members who attended, and Elaine McDevitt (ICAD operations director) undertook to address the issue by issuing an invitation to members to engage directly with their board and share ideas and suggestions. The Institute of Creative Advertising & Design [ICAD] was established in 1958. It is one of Europe’s oldest Creative Industry organisations – the vastly more famous and hugely resourced UK equivalent D&AD is four years ICAD’s junior. ICAD’s mission is ‘to foster, promote and reward creative excellence in Irish Advertising & Design’ and it does an excellent job! The ICAD AGM will take place on June 17th in NCAD, 100 Thomas Street at 6pm in room 2.03, Harry Clarke House. ICAD actively encourages the participation of all ICAD members. Members can nominate other members to the board and to the position of President. Members can vote by attending the AGM or alternatively by providing a proxy, to be used by an ICAD member of their choice who is attending the event. The nomination forms and proxies are available to all members and can be requested from Elaine McDevitt, ICAD Operations Director at elaine@icad.ie – nomination and proxy forms must be returned by e-mail before 5pm on Wednesday 16th. The outgoing board, must be congratulated on the events, publications and professional development training they have organised during the 18 months since their election. Chris Gore, Young Euro, RSCG; Dara Ní Bheachain; Alvin Perry, Fresh Design; Eoghan Ryan, Rocket; Iain Slater, Slater (Northern Ireland Representative). Catalysto wins Bronze Award at ICAD Awards for its creative work for the Institute of Art Design & Technology (IADT). 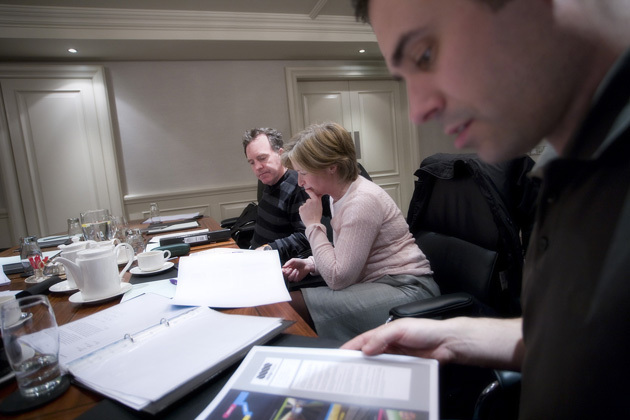 Closing date for the second call to the WDC Micro-Loan Fund for the Creative Industries is last working day of March 2013. In denial about Climate Change? The ticket design for the 2012 London Olympics has been released. The tickets were designed by Futurebrand, they incorporate pictogram designs by SomeOne and the logo created by Wolff Olins. THNK, the Amsterdam School of Creative Leadership, was founded as an international educational foundation, launched in March 2012. Its creative leadership program is designed to accelerate the development of creative leaders, turn global challenges and crises into opportunities, and create a more meaningful and sustainable way of life. Open House Dublin has secured the necessary funding for its annual book through Fundit. Thai Design industry enjoys a head start! What’s missing at Terminal 2? Could it be ‘voluptuous panic’? Q. Dutch Design, what is it up to? A. Everything! Innovation – Where Does it Begin?